Point Pleasant Beach NJ offers some of the best and most diverse fishing year round. Being located on the central Jersey Shore gives the angler a distinct advantage. Due to the convergence of the Hudson River Flow and the Delaware River Flow, the area can potentially out produce either single area for a variety of species. In addition to these two watersheds, is the Gulf Stream. During the year, game fish and many tropical species are found within reach. Who says you have to travel thousands of miles to land "The Big One"? 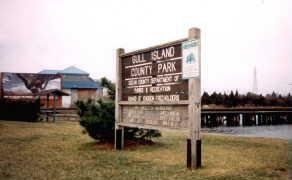 Shore Fishing Areas: Anglers are attracted to Point Pleasant Beach because of the ease and abundance of shore fishing opportunities. Surf Fishing, The Manasqaun Inlet Wall, The Manasquan River, The Canal, and the upper Barnegat Bay are either in town or close by. Manasquan Inlet "The Wall." By far the most popular of areas to fish. This area produces fish year round as it connects the Atlantic to the Manasquan River. Parking (metered) is found right at the inlet. There are public bathrooms on the eastern side. Stop by Alex's Bait and Tackle (9 Inlet Drive) or give the owner Marc and e-mail for specific inquiry. Manaquan River- As you travel west from the inlet along Broadway, you are parallel to the Manasquan River. Anglers will find a place to fish at Gull Island Park. This is a small area across from the 7-11. Scuba Diving is to the left and fishing to the right. The Surf- All along the coastline, many anglers come to fish for Bluefish, Striped Bass, Fluke, Weakfish, and a variety of other species. At the northern end of town, where the inlet meets the Atlantic is an area known as "The Pocket." This area is a part of a private beach (west of the high tide line.) Entrance is typically permitted by the owner except during hours that the beach is open and guarded (Day- Memorial Day to Labor Day.) Head south and you will find "The Pier." The lights from the establishment can attract fish to shoreline here. Continue south and you will find another access point right across from the Dunes Motel. The entrance is marked by a small blue sign (easily overlooked) between the newer homes built on what was Paradise Beach. This area is free and is public access east of the high water line. Small Boat- You are bound to see fluke, flounder, crabs, and weakfish being caught (seasonal) around the area. Fishing in the upper Barnegat around the Mantalooking Bridge, The buoy 10 (canal entrance) area, and the Manasquan River are all accessible within a short distance from the public boat ramps of Pt. Boro. These areas are hot spots at specific times of the season! Other- The Barnegat bay is often used for crabbing. There is a small park on Rt. 35 South about 4 miles from town. Here you will be able to fish for snapper blues and crab while your kids play on the swings! August is the best time! Ocean- Year round, both commercial and recreational fishing boats sail from Manasquan Inlet. The offshore grounds produce tuna, albacore, and a variety of game fish. Expect to pay over $200 dollars on a party boat, and $1500-$2500 for a private small group charter (to six). 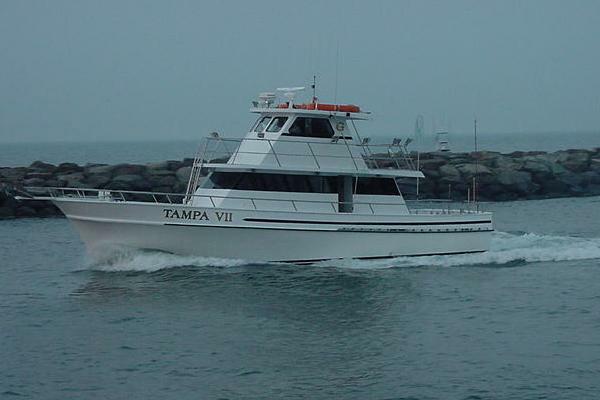 The inshore grounds can be fished for as little as $20-$40 on a party boat and $300 to $800 on a private charter. Season and species sought will dictate the price and sailing schedule. Bluefish, Fluke, Weakfish, Striped Bass, Blackfish, Sea Bass, Cod, Ling, Tuna, Shark, and literally hundreds more are caught each year!